Mother’s Day is a time to celebrate all of the special moms in your life. It is fitting and honorable to celebrate our own moms on Mother’s Day, but I have also always loved to extend that celebration to my sisters, aunts, grandmothers, and friends, too. After all, motherhood is a journey best taken with other mothers. 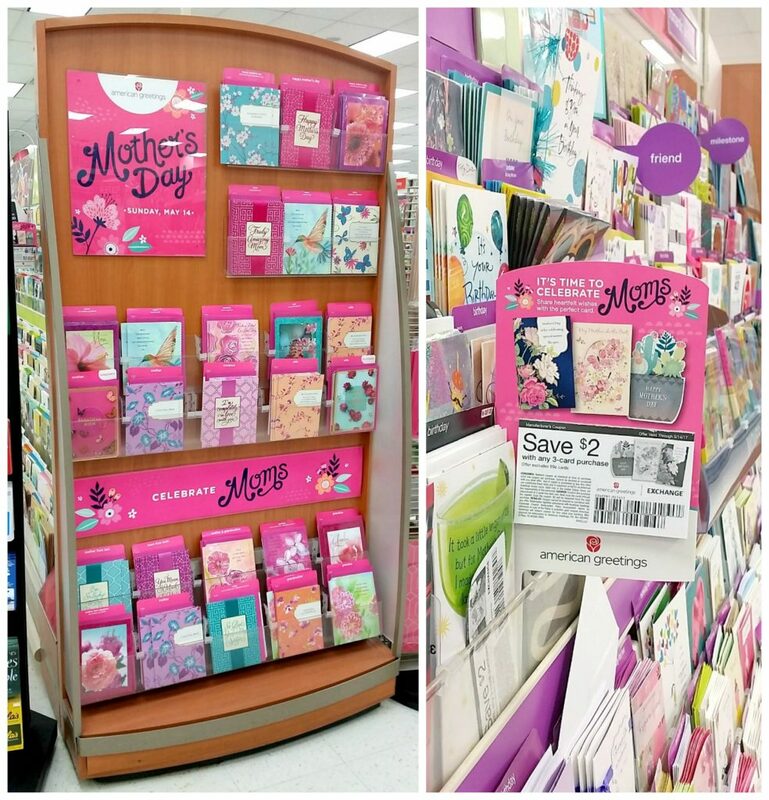 I recently went to AAFES and spent quite a bit of time shopping for Mother’s Day cards by American Greetings. 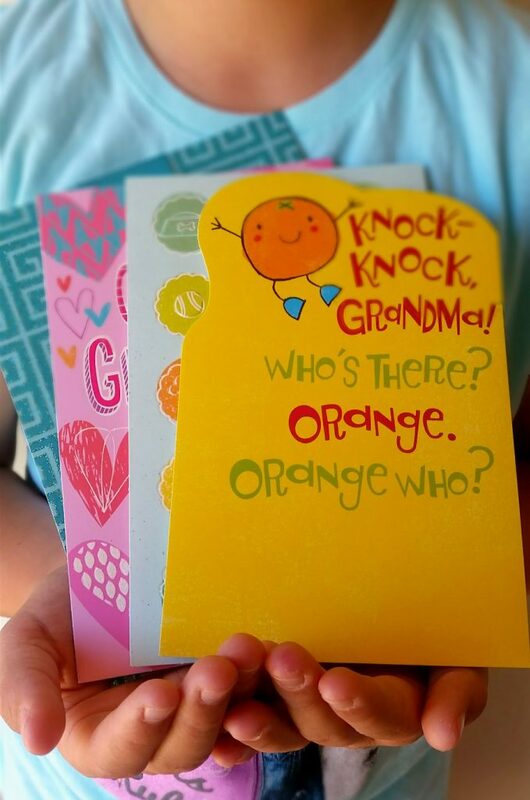 They have the perfect Mother’s Day card for every mom and situation. 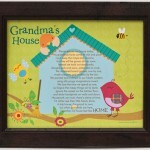 The tissue paper suncatchers I am sharing with you today are a fun companion to your Mother’s Day greeting cards. I was impressed with the variety of Mother’s Day cards I found when I went to my AAFES. I was able to pick up cards for my mom, mother-in-law, best friend, and my sisters (one is a doggie mom). Reading all of those cards reminded me of how much love is shared in mothering. Love between mother and child, adult child and mother, friends on the mothering journey together, and more. 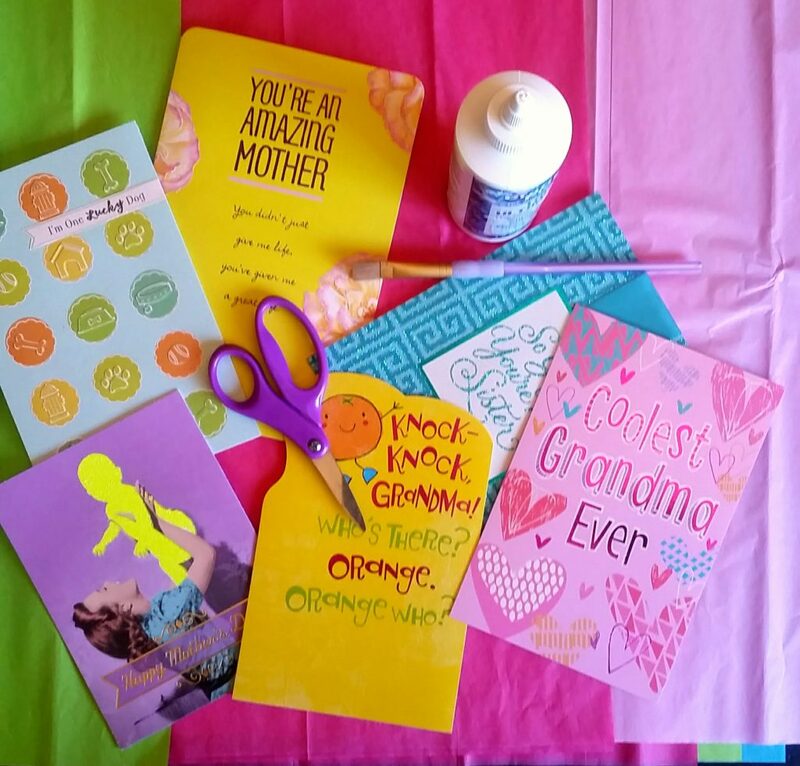 With so much love and card variety, be sure to plan for a little time when you go pick up your American Greetings Mother’s Day cards. Also, look for the coupon for “Buy three cards, save $2,” which is good until May 14 (that is Mother’s Day!). I found my coupon right in the card display. Moms light up the world like sunshine. 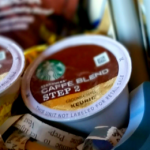 As a military spouse who has been through a few deployments, I truly know how friends and extended family can grow closer to you in your time of need. I am so excited to send them some love this Mother’s Day. 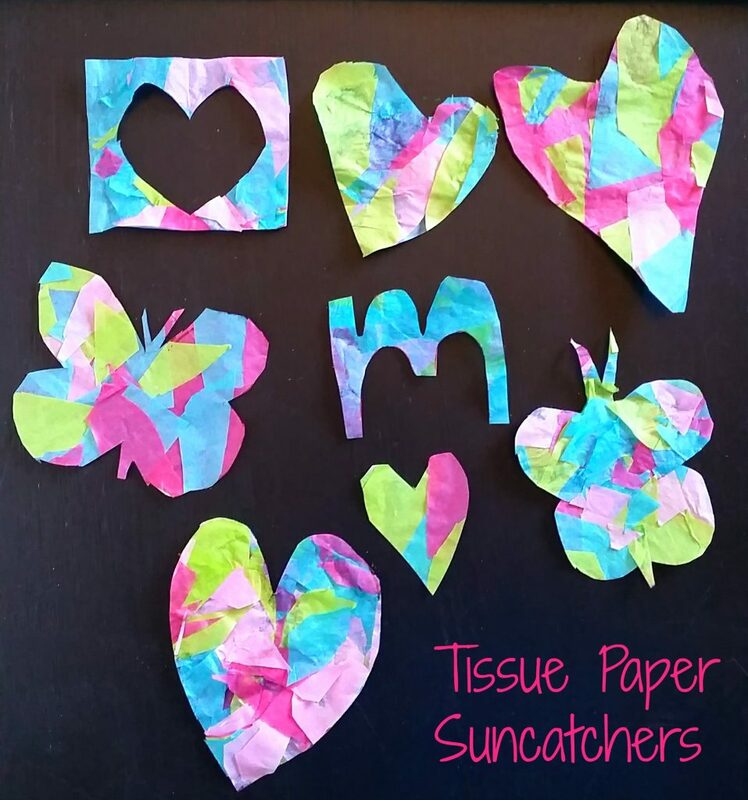 Tissue paper suncatchers are fun and easy to make, and will bring a smile to the face of a mother you love. 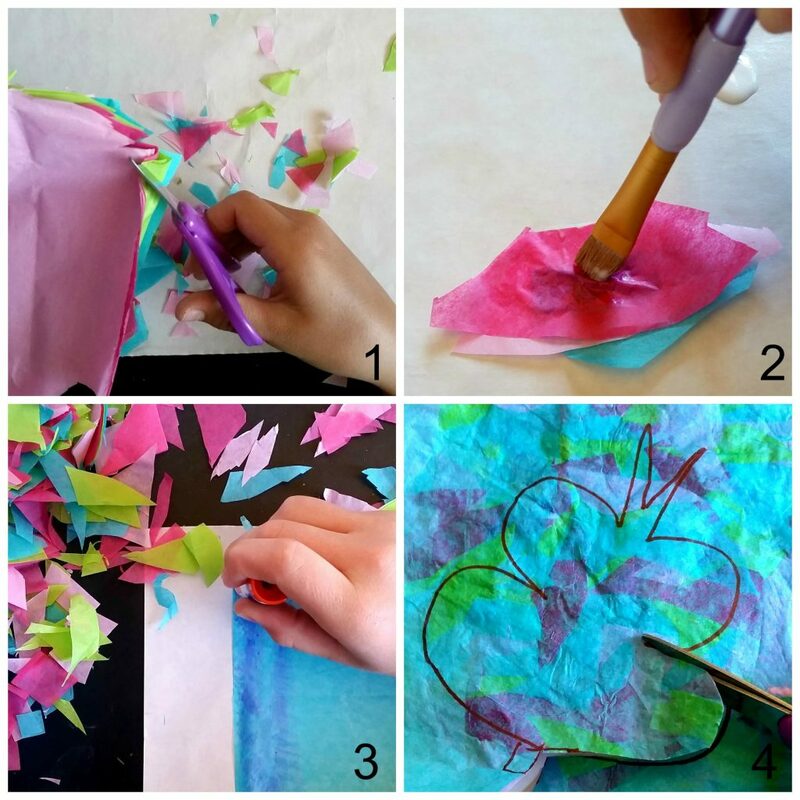 Cut or tear the tissue paper into small pieces. 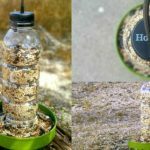 Glue the pieces together using diluted white glue and a paintbrush, OR use a glue stick to attach the pieces to a square of tissue paper. Either way will work. 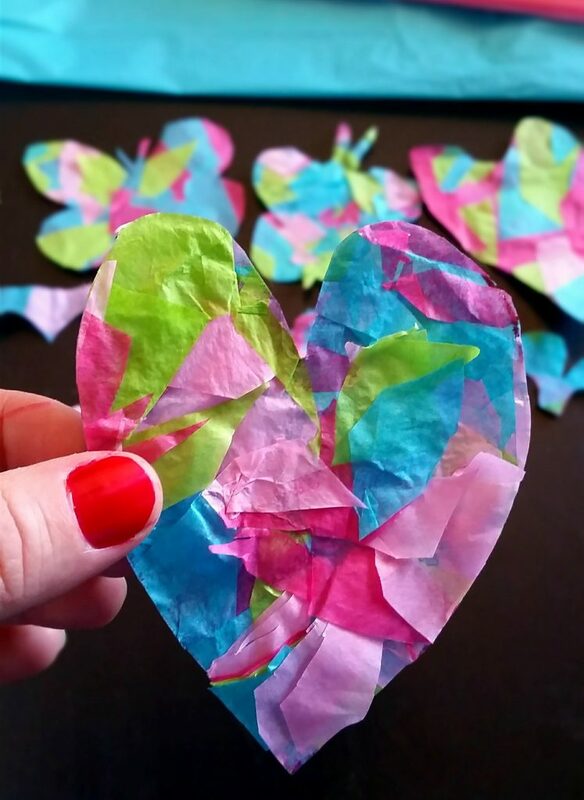 Once the paper is dry, cut out hearts, butterflies, or whatever shape you desire. To make it easier, draw the shapes out before you cut them. 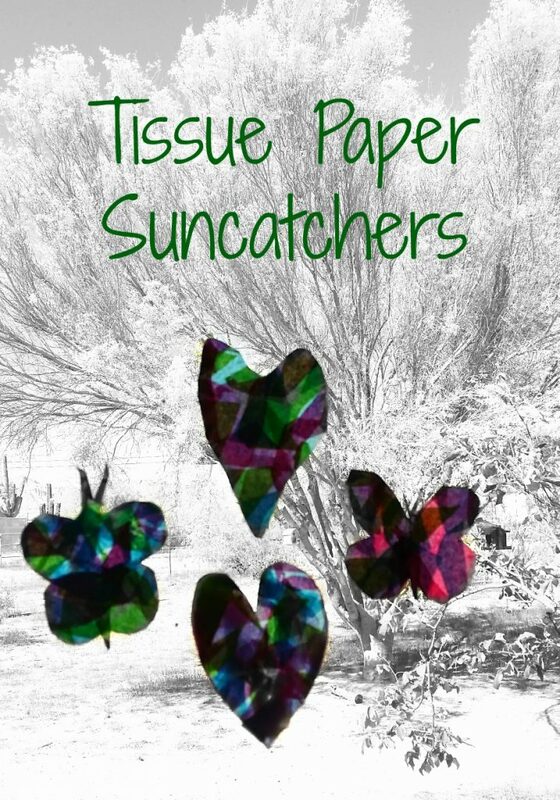 Now you have several tissue paper suncatchers you can slide into your cards, or hang in your own window using double-sided tape. 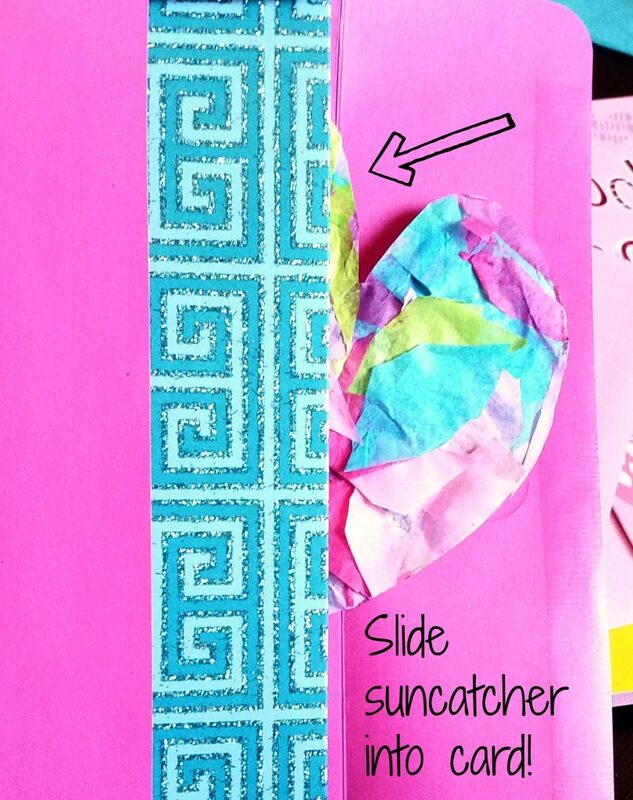 Make sure the suncatcher is completely dry before you place it into the card. 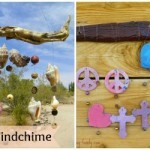 It is a little difficult to get a picture of a suncatcher in action in the bright Arizona sun. 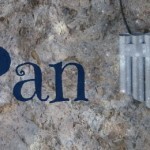 The picture below should give you a general idea how these suncatchers will look once they are placed in a window. Find more Mother’s Day gift ideas and greeting cards here. Happy Mother’s Day! 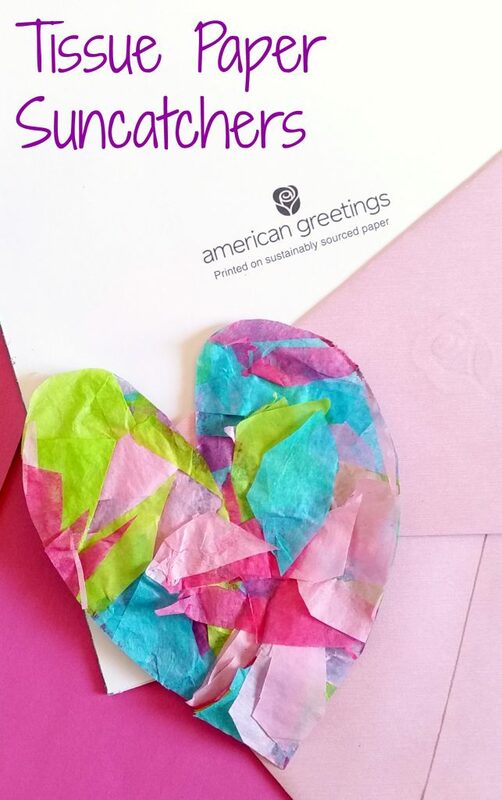 Head out and grab some American Greetings cards and do not forget to look for the coupon. I found the coupon in the middle of the Mother’s Day cards and in the birthday card section. 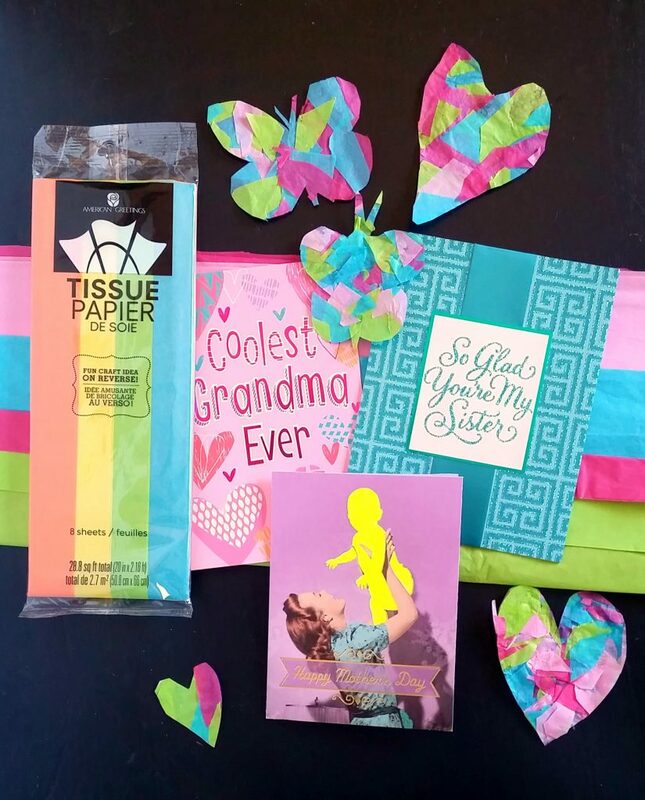 Look for the special Mother’s Day card aisle and end caps where you find beautiful cards, tissue paper, and gift bags.